The E-Z Flex II device is a temporomandibular joint (TMJ) rehabilitation and function therapy device, which provides passive motion to restore normal range-of-motion and function to and jaw. It is designed specifically for rehab from facial and TMJ surgeries and treating TMJ disorders by targeting the joint, facial tissues and surrounding muscles. The E-Z Flex II TMJ Exerciser is an air cushioned temporomandibular joint (TMJ) mobilization system, designed to restore range and function from TMJ and jaw disorders. Targeting the TMJ and surrounding muscles, the E-Z Flex II provides rehabs facial and TMJ surgeries and treating TMJ disorders by targeting the joint, facial tissues and surrounding muscles. The E-Z Flex II exerciser utilizes passive motion for safe, gentle therapy that is controlled by the user. The E-Z Flex II exerciser is also the only product currently available to provide a sustained static stretching. 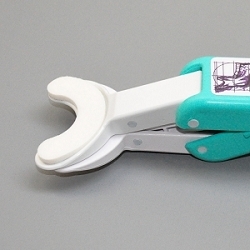 Additionally, it can be used for muscle toning for the jaw and mouth. 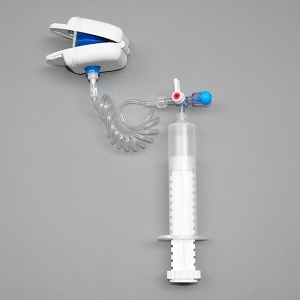 The E-Z Flex II includes a syringe hand pump connected by flexible tubing to a spreading mouthpiece. This structure improves compliance by allowing the user to comfortably hold the hand pump and easily see the range-of-motion scale while exercising. Additional elastic bands, air stops, and hot/cold packs, enhance the therapy for the jaw and face and offer a variety of exercises. 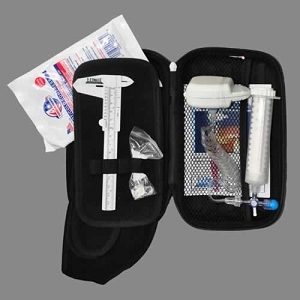 The E-Z Flex II system includes the E-Z Flex II device with syringe pump, compressive bands, vertical scale, head wrap, and two hot/cold packs. 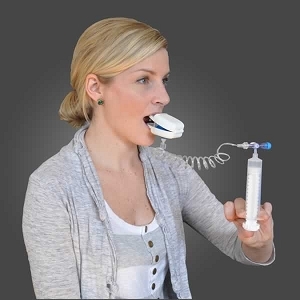 The unique use of flexible tubing and an air pump provides therapeutic passive motion to the TMJ that is gentle, safe and easy to use with total control by the user. Passive motion occurs when joint mobilization is powered by a force other than one generated by the local muscles of the therapy. Indications: TMJ Disorder; Post-Surgical Rehab; Dental/Facial Injections; Jaw Muscle Disorders: Clenching/grinding; Radiation Fibrosis; Cancer; Trauma; Trismus; Arthritis, scleroderma, and stroke.